I had wanted to start a website for a long time, but couldn’t think of a topic for it. While watching a TV ad that showed an airline passenger experiencing a meltdown in response to the annoying behaviors of fellow travelers (see it here), I started thinking about my own bad flying experiences. Suddenly the idea hit me to launch a website called Flights From Hell that would allow people to share their flying hell stories. I didn’t see any such sites around, and believed that there would be a demand for one. I was surprised when I found that the FlightsFromHell.com domain name was available. I snatched it up immediately, along with a number of other “From Hell” names (for example, CruisesFromHell.com, OfficesFromHell.com, and HaircutsFromHell.com). Dinners From Hell ended up being published first, followed about a half year later by Flights From Hell in June 2007. See Joe Sharkey’s New York Times article for more details about the genesis of the websites, and FAQ for more website information. 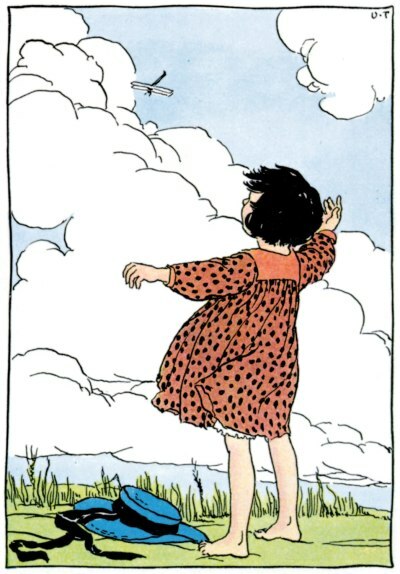 The girl with outstretched arms in the illustration below, enthralled by the sight of an airplane, evokes in me the sense of awe that people must have had about flying in those early days. We forget what a wondrous thing it is to be able to leave the confines of the terrestrial plain and soar through the skies. It was only in relatively recent times that the dream of being able to fly, a longing felt throughout human history, was finally fulfilled. Unfortunately, but inevitably, the wonderment about air travel became lost because of its routine nature – and because of the burden it has become. 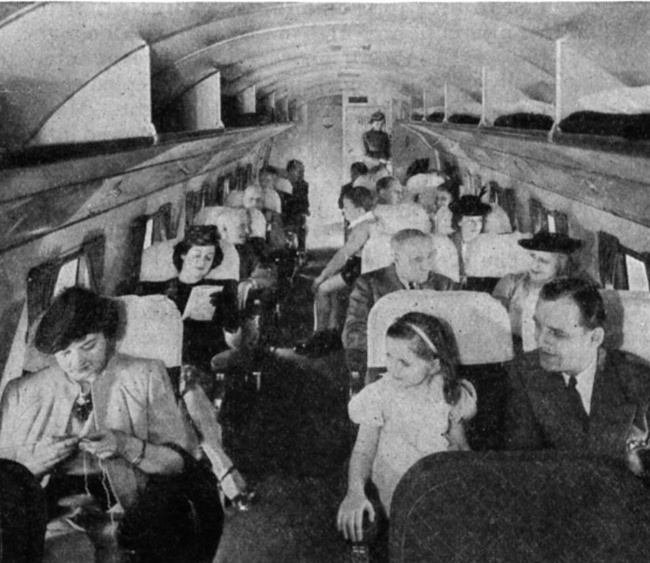 Flights From Hell was created to help relieve passengers and flight crews of those burdens by providing an opportunity for them to share their flying experiences, as well as provide entertainment for others. Here’s wishing you a good trip as you fly into the crazy skies with Flights From Hell.